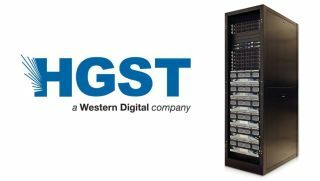 WD-owned HGST is adamant that white box storage solutions no longer have the appeal that they used to, even as Google or Facebook fuelled the growth of Open Compute and other similar projects that promote the use of vendor-agnostic solutions. HGST's CTO, Dave Tang, told TechRadar Pro that optimising the hardware and software (that includes customising hardware around the hard drives) and then tightly integrating everything has allowed the company to offer solutions that offer between 50 and 70% better TCO (total cost of ownership) compared to white box-based solutions. Commenting on the recent Toshiba announcement regarding its HDD-as-a-server solution, Tang confirmed that the company is not looking to add any sort of additional compute resource to its HDD for now. "We are looking at it and we're not discarding it altogether," he said. Speaking about the recent announcement about its active archive system, Tang explained that the 4.7PB solution, enough to store hundreds of thousands of DVDs, was not positioned as a tape replacement product but instead introduced a new tier. It is best for activating data from a tape archive, Tang noted. Tape still provides more protection against internal or external rogue elements and is likely to be cheaper although the difference is shrinking – HGST's solution costs around $180 (around £115, or AU$230) per TB (or $847,000 for the actual product – around £540,000, or AU$1.08 million). He extolled the virtues of Helium technology that HGST is pushing forward. "It is a key enabler for us," he said, allowing the company to push for vertical integration and vertical innovation where HGST has an inherent cost preference (because they produce the fundamental building parts). Tweaking the hardware platform and shrouding it in helium gives the company an advantage compared to rivals. And there's something else. "One issue with HAMR [a key technology that will allow HDD capacity to increase 20x over the next few years] is the life span of the [reading/writing] heads and that improves when operating in helium." He reiterated that HGST is moving increasingly into storage system solutions, something that he says won't make HGST's long-time partners anxious. Indeed, existing ones were often the catalyst for innovation: "We are pulled into new roles [by our customers], we're not pushing forward." "There's a massive market out there and plenty of room for everyone", Tang said, adding that "where we are focusing is developing new parts of the market". Building a storage system for data centres came from a demand for such a solution from scale-out cloud data centres but Mike Cordano, the company's president, was quick to add that they will partner with traditional players. "HGST can enable them to transform their businesses", he added. For traditional OEM companies, it frees them to focus on software and services, both more profitable than hardware. This helps drive greater customer loyalty thanks to a higher stickiness, and delivers better return on investment. "It allows them to invest development dollars in areas that are more meaningful to them", Cordano continued. A similar scenario applies to cloud service providers – customers do not reward them for building infrastructure which is why they want turnkey, plug-and-go solutions which allow them to redirect resources into new services. Our next subject of conversation was flash, where HGST has been very active with a slew of acquisitions aimed at assembling the necessary building blocks – IP, engineering talent – to provide it with an end-to-end enterprise portfolio. "We learnt that it is difficult to deliver robust firmware and infrastructure rapidly, it is easier said than done," Cordano quipped. What's the next step in flash for HGST? "We will deliver a cost effective rack level unit at some point in the future," he said. That sounds fairly similar to what Sandisk launched a few months ago with its Infiniflash offer, a full flash array that aims to make flash more prevalent in the enterprise, at the expense of hard disk drives. Mixing and matching technologies, however, does not seem to bother HGST. "We're excited about growth from traditional data centre, growth of hybrid and cloud data centres," Tang said. He added, "our transformation is enabling the transformation of others as well." Providing building blocks at a higher level seems to be a better business plan for HGST, as it allows them to evolve well beyond the role of a supplier of storage solutions into that of a business partner.